Our facility in Riceville services more than fifteen large industrial plants and over fifty other machining and manufacturing facilities. Material is picked up in a timely fashion, with superior service and top notch pricing. We realize that no two companies are alike and that everyone has their own needs. Therefore, we pride ourselves in changing to fit the needs of our customers. We are able to merge our experiences of what works and what doesn't, with your requirements, in order to provide a quality outcome. Container options include a number of different lugger boxes, semi-trailers and large roll-off boxes. Additional options include sealed tubs, covered tubs, dumping hoppers, barrels, and/or metal boxes. 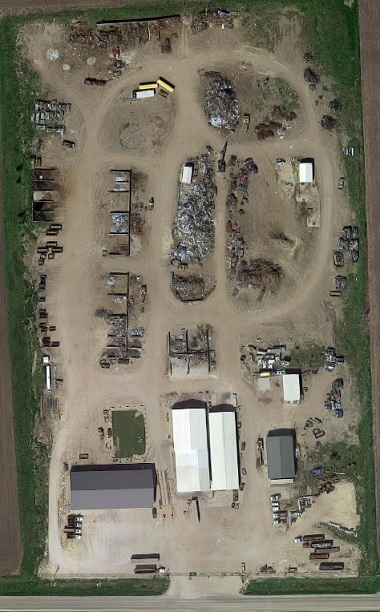 Our Riceville facility is your single source for recycling your home or business computers. Data destruction is our number one priority and thus we have teamed up with a reputable e-scrap consumer for hard drive and data shredding. No computer system will ever be sold for re-use, only for recycling/destruction, guaranteeing all your data will be destroyed.